Ayana is a luxury resort perched on a cliff above Jimbaran Bay in Bali, Indonesia. Shared facilities with RIMBA Jimbaran Bali Resort, offer guests 15 restaurants and bars including the famous Rock Bar; a private white-sand beach; 11 swimming pools and the award-winning Spa on the Rocks. Choose between 290 and 78 private pool villas nestled along the coastline. Take in the majestic sunsets and ocean-front views and enjoy ultimate Indonesian luxury. Kenshō is a stylish boutique hotel on the infamous island of Mykonos, Greece. The artistic retreat is inspired by the natural colours of the Mediterranean and traditional Aegean architecture, and overlooks the picturesque Ornos Bay. There are 25 luxurious rooms and 10 suites, designed with natural stone and aged wood, that include personal plunge pools or jacuzzis and have a strong design focus on outdoor space. KENSHŌ faces the beautiful Ornos Bay and is 2 km away from the town of Mykonos. Visit the island's capital - Hora, a colourful harbour, also called "Little Venice". All the famous beaches are located on the southern coast: Psarou - the closest to Mykonos town; Kapari Beaches for intimate sunsets and a great view of Delos. For a day party, check out Paradise Beaches, known for endless bars and djs. For a day on the water, get a private boat and explore the Mediterranean or take a day trip to Delos, a sacred island nearby. Postcard views. Being surrounded by olive trees and sparkling Aegean Sea. Watching white yachts disappear into the horizon. Cocktails and dancing to the setting sun. 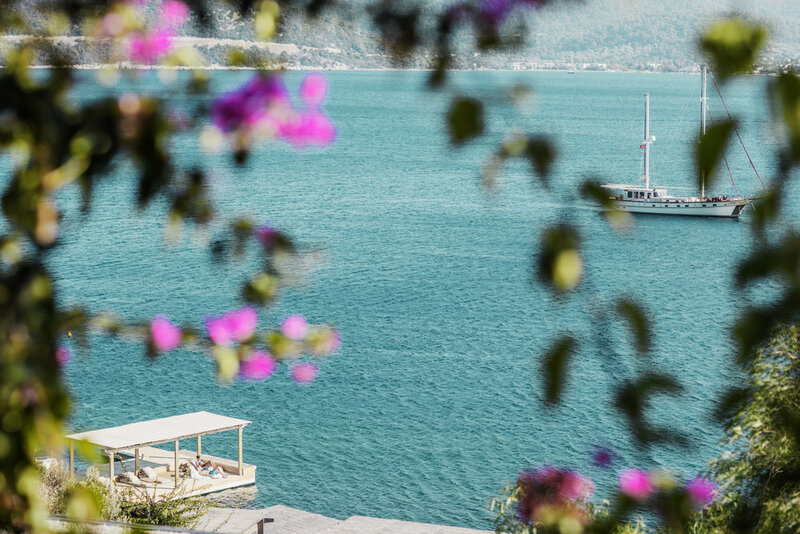 Macakizi is a boutique hotel, on the edge of Aegean sea in Bodrum, Turkey. Surrounded by hills and bougainvilleas, this secret retreat is the only place you'll want to be this summer. The rooms are set hillside, and are spacious and luxurious, with wooden accents and lots of light. Visit the outdoor spa or the glass-wall hammam or do a yoga class overlooking the water. Enjoy lazy hot summer days at the beach club and warm up by the outdoor fires on cooler nights. 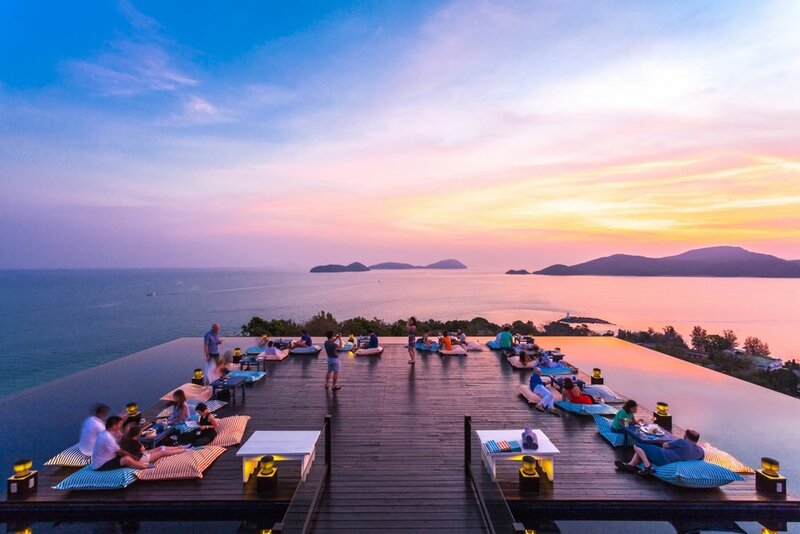 Sri Panwa is a beuatiful luxury hotel in Phuket, Thailand and a destination in itself. The private pool villa & spa resort is high up on Cape Panwa with surreal views of the Andaman Ocean and PhiPhi Islands. Choose a one or two bedroom pool villa, all facing the water, and surrounded by dense lush jungle for maximum privacy. Stay at the new Habita Suite complex, complete with an infinity waterfall pool and unique leaf shaped roof. Everything at Sri Panwa is inspired by nature, making it the ultimate landscape-enhanced retreat. Visit the Cool Spa for traditional Thai or modern treatments or do sunrise yoga on the floating yoga deck. If you want to get your sweat on, there is boxing ring at the hotel's gym. Finish the day by watching the sun go down, from one of the most perfect view points. Enjoy 7 different restaurants throughout the property. Make sure to make a reservation in advance for the famous Baba Nest - 360 view the rooftop bar, voted one of the best beach bars in the world by CNN International. At Felissimo you will find great design in the midst of a Brazilian rainforest. Hidden in a tropical garden, and only 500 metres from sea, the hotel consists of 9 suites and 2 private lofts. Relax in the turquoise mosaic pool or take in the sea view from your private terrace. Felissimo is in close proximity to one of the best clubs in the world - Warung Beach Club.